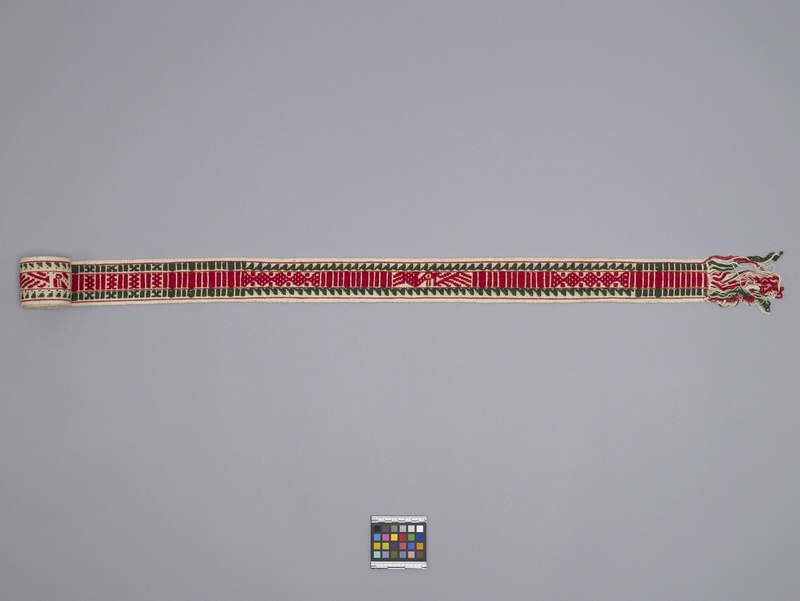 Item number H1.142 from the MOA: University of British Columbia. 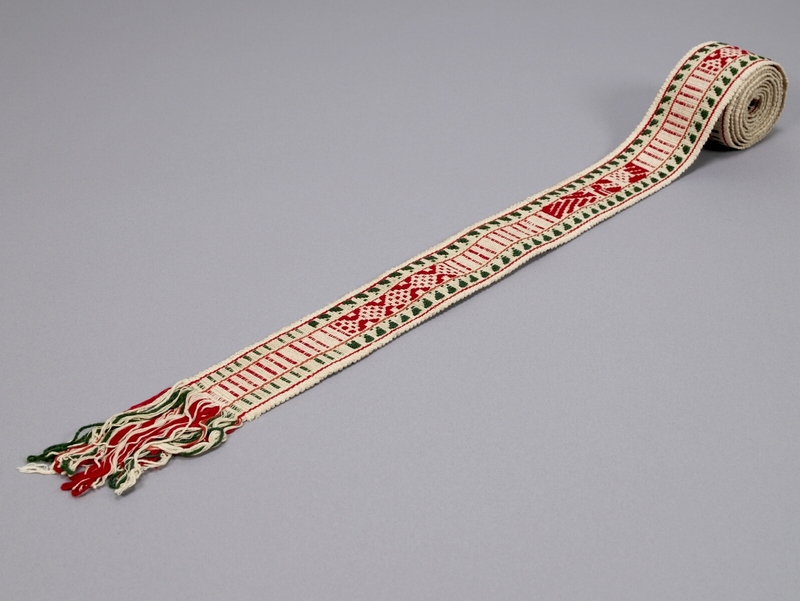 Geometric and stylized bird design in red with a green saw-tooth border, all on off-white and flanked on either side with a thin red line. Fringed at one end.